As you navigate your way through this beginner training, you will be given the tools, resources and skills you need to learn German. As the course is suitable for complete beginners, you will be guided through elements such as the German alphabet and correct pronunciation, adverbs, adjectives and articles as well as pronouns. 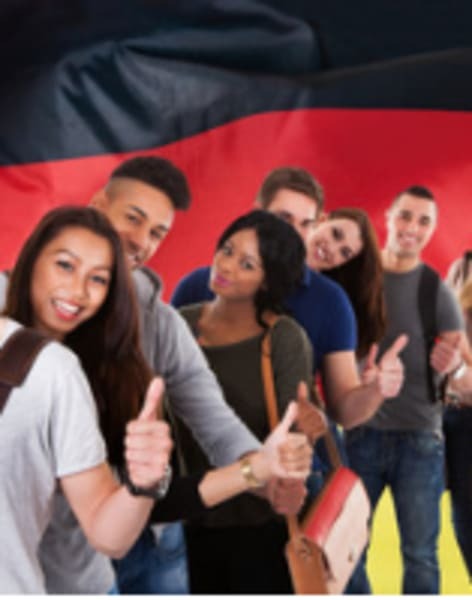 The course material is structured and effective allowing you to develop a good understanding of how the German language functions and the intricacies of speaking and writing. You will also learn how to express something in the present tense and give information that includes dates, times and numbers. Build your skills, grow in confidence and study in a welcoming classroom environment where you are guided by an experienced and highly professional tutor who will be able to assist with issues such as pronunciation and correct selection of words and phrases to construct sentences and communicate effectively.